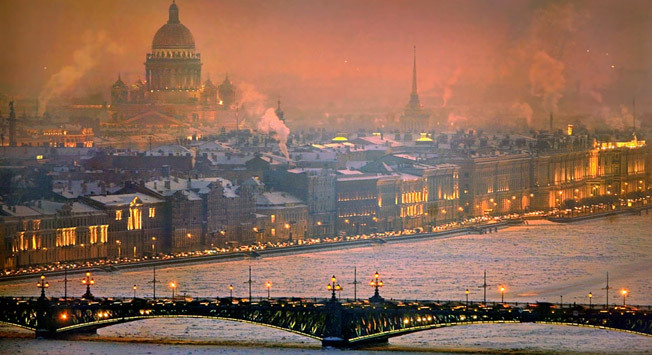 Saint Petersburg is one of the cities most beloved by tourists, on par with the capital. Coming once again to the “city on the Neva,” one involuntarily wonders how the local Petersburgians live in such incredible beauty. Surely, they don’t spend every weekend at the Hermitage after breakfast in a café on Nevsky Prospekt and, grabbing their binoculars, heading to the Mariinsky Theatre in the evening. It cannot possibly be like that! And you would be right. Denizens of the second capital relax in a completely different way, bypassing the well-trodden tourist paths. So, if it is by far not your first time in Saint Petersburg and you wish to feel like a true “veteran” of the city, follow the advice of Anna, a young businesswoman born in the northern capital who talks about her city with unconcealed adoration. Despite the climate and bad roads, Anna loves her city so tenderly and sincerely that she would never agree to move to any other world capital. There is almost always bad weather in Saint Petersburg. What can you do? That’s the northern climate for you … If it isn’t snowing, it’s raining; if it isn’t raining, a piercing wind blows. Catching the “season” in Peter is no easy task, even for experienced tourists. And yet, the best chance of basking in the caressing rays of the sun is not at summer’s start, but at its “peak” in July-August. • The majority of local inhabitants love to fly to Moscow rather than getting there by train or automobile. The Moscow-St. Petersburg highway is narrow, has too much traffic, and the pavement does not meet the capital’s standards. • If you have the means, be sure to stay in the posh Grand Hotel Europe located in the center of the city near the railway station. The service, dining, atmosphere, and location of the hotel at the center of Nevsky Prospekt are above all praise. More economical, but a safe bet all the same, is the Park Inn Hotel. It is also possible to try mini-hotels and hostels, as there are a great many of them. • Shopping is certainly not the thing worth coming to Saint Petersburg for. Though the selection of stores and brands is equal to that in European capitals, there is no comparison in terms of price. Residents of the city prefer to go regularly to neighboring Helskinki by car for a weekend in order to buy all the necessities – from household trifles to interior objects – at half the price. • “The White Nights,” when the entire night is one long twilight, lasting approximately from the end of May to the beginning of July in Saint Petersburg. This is when the majority of night-time entertainment establishments leave their doors open to those uninterested in sleep. Don’t miss a moment! • When walking at night, verify the bridge raising schedule so you do not regret missing a party on the other side of the river. • Taking a taxi from the airport is the most comfortable option. The fare to the city center is 700 rubles ($20), so don’t agree to a large sum. A taxi around the city is about 300 rubles ($8.50). • Even if its not your first time in the northern capital, be sure to have a peek in the Russian Museum – a unique museum of fine art that both tourists and Petersburgians regularly visit. • The Literary Café at 18 Nevsky Prospekt is excellent for breakfast. • The Biblioteka (Library) Restaurant; it has five floors, each with its own interior and kitchen. Try them all! • Evening is entertainment time and it’s worth going to Konyushennaya Ploshad (Square), Building 2, where you can start off with a visit to one of the multitude of restaurants for any taste and continue on to a bar or club. We recommend the enchanting club project Laque, where they take a responsible attitude towards the choice of interior and the public. Laque has a huge double decker dance floor, 4 bars, excellent musical equipment, and a VIP-lounge. In the club, you can also enjoy dinner and try a wide assortment of cocktails. • Petersburgians regularly go to the ZimaLeto karaoke bar as well. It has a terrific summer veranda, a happy clientele, with singing and dancing ‘til dawn. Prices at the establishment are hardly economical, so be prepared to pay a weighty sum for the fun. • If the weather allows, enjoy the restaurant Terrassa’s panoramic summer veranda with a view of Kazan Cathedral. Book a table in the first row well in advance. The windows of the Mansard Restaurant open to a view of Isaevsky Cathedral (St. Isaac’s). • Friday nights, lovers and admirers of the salsa dance up a fiery storm on the Vasilievsky Island arrow. It is completely unnecessary to go with a partner. The most important thing is desire – they will teach you to dance in 10 minutes! • An option for a quick tour of the city is the Red bus city tour stop near St. Isaac’s Cathedral or the Palace Square. • Prepare for your trip: buy tickets to the Mariinsky Theatre, which is considered the best for “viewing art,” and to the Mikhailovsky Theater – “enter society, show yourself” – in advance. Check out the buffet at Mikhailovsky, which belongs to the largest restaurant project in the city, Ginza Project. • On 36 Radishcheva Street is the restaurant Trappist with the city’s best beer menu. Beer is brought in from all over the world; for example, savor the Belgian which has fresh mead put into it. The Brugge beer restaurant is an alternative. • Paradise is a trendy bar among native Petersburgians, ideal for a pre-party. Exquisite cuisine is skillfully blended with musical sets and the establishment’s celebrity guests. • If you have already been to the Peterhof and Pushkin Park, then the best place to go for a long summer stroll would be the Elagin Island Park. There are costume balls and various events in the staterooms of the Elagin Island Palace, and a wind orchestra plays any time of the year. In the park, it is possible to rent sports equipment or lay on the green grassy beach. • The largest non-state museum of modern art in Russia is Erarta, which also has a huge collection of authors’ projects. Time spent there will not be in vain.